With the launch of new discount airlines like Iceland based WOW Air, now is the time to explore the natural beauty of Iceland en-route to other European destinations. There's a lot to experience in just two days. In addition to Reykjavik's most famous attraction, The Blue Lagoon, there are several tours that span the country's glaciers, geothermal pools and grand outdoors. Plan ahead for good fares. 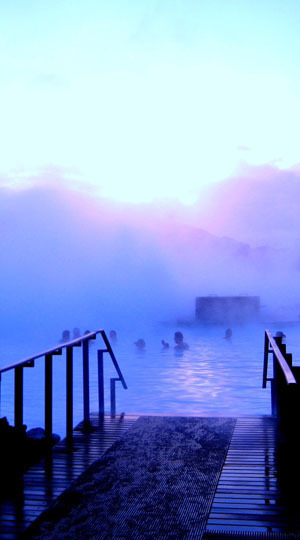 Named one of the top 10 wellness spas by National Geographic, Blue Lagoon is Iceland's most popular and unique attraction. The silica in the waters is great for the skin and they have developed a line of special spa products based on it. Bus companies have set up a schedule to allow passengers - whether just arrived from overseas or departing - to include a visit to the lagoon in their itinerary. A basic pass will grant access to the Lagoon, steam rooms and sauna. In water spa treatments are available for an additional charge, and there is a restaurant on-site. Luggage is left either with your bus or in lockers at the Lagoon. 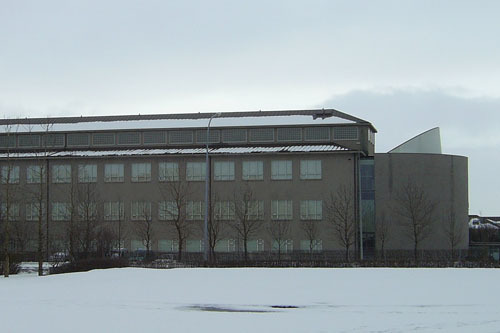 Located on a geothermal site supplying Icelanders with hot water, the Pearl Observatory was built on a parklike setting offering great views, a destination restaurant and the Saga Museum, which highlights Icelandic History with exhibits and full size replicas of major Icelandic figures and their achievements, including Leif Ericcson's discovery of the Americas. Prices displayed are for the museum, which is open from 10am to 6pm in the summer and from noon to 5pm in the low season. 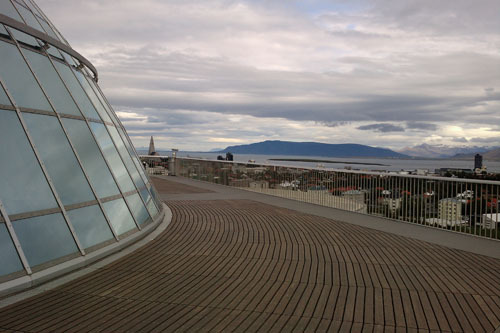 This Reykjavik museum showcases Iceland's heritage both past, present, and future through an extensive collection of artifacts and themed exhibits that depict Iceland's 1200 years of cultural history. More than 2000 artifacts and 1000 photographs on exhibit. 40 minute free guided tours daily offering an overview of the museum. Check the website for timings. 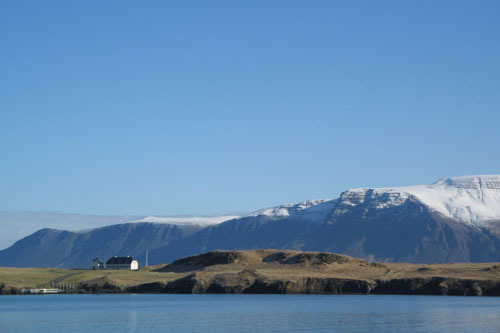 Home to the oldest stone house in Iceland, small but scenic Videy Island was the site of an active volcano, and the rocks on the island are some of the oldest in the region Enjoy the nature paths, birdlife and geology of the island, including some interesting rock formations. Interestingly, Videy is also the site of the Imagine Peace Tower, conceived by Yoko Ono as a tribute to John Lennon and as a symbol for world peace. There are limited options for food and drink on the island so plan your meals ahead of time, perhaps bring a picnic from the mainland. Marvel at Icelandâ€™s awe-inspiring landscape and fly over volcanoes, glaciers and geysers on this 2 hour helicopter flight from Reykjavik. Be amazed as you soar through the skies and enjoy birdâ€™s-eye views of the city. Pass over the ThÃ³rsmÃ¶rk mountain ridge and descend to a scenic spot to see the landscape up close, too. Climb to EyjafjallajÃ¶kullâ€™s summit and peek inside its crater, before returning to Reykjavik by way of black sand beaches and the Blue Mountain range. Numbers limited to 12 people, ensuring a small-group experience. Make your own way to Reykjavik Domestic Airport in time for your morning flight, and then listen to a short safety briefing before following your professional pilot to your helicopter. Take a seat next to your pilot or in the row of seats to the rear, and feel the excitement build as you take off into the skies over Reykjavik. Peer down at the capitalâ€™s sights and watch as the vibrant rooftops that typify Reykjavik give way to the rugged beauty of the ethereal Icelandic landscape. Head toward the Hengill geothermal area, one of the largest areas of its kind in Iceland, and take in birdâ€™s-eye views of the steaming hot springs â€” known as geysers â€” and power plants. Pass over the ThÃ³rsmÃ¶rk mountain ridge. One of the areaâ€™s most scenic spots, ThÃ³rsmÃ¶rk is surrounded by glaciers, mountains and rivers and bordered by the towering MÃ½rdalsjÃ¶kull, EyjafjallajÃ¶kull and TindfjallajÃ¶kull glaciers. Marvel at the sweeping views and then begin your descent to a landing spot between EyjafjallajÃ¶kull and Katla volcano. Step out of your helicopter and stretch your legs as you wander around, taking in the inspiring views. Hop back inside your helicopter and enjoy your scenic route back to the city. Soar over the black sand beaches on Icelandâ€™s south coast before crossing the Blue Mountain range and taking in your final aerial views of Reykjavik. Your 2.5-hour tour concludes back at the original start point. Hike around craters and cooling lava at Icelandâ€™s Fimmvorouhals Volcano in Thorsmork Valley! The exciting day trip includes round-trip transport by 4x4 jeep from Reykjavik as well as a stop at Seljalandsfoss Waterfall near Eyjafjallajokull Glacier. After arriving at Basar in Thorsmork Valley, set off on a 12-mile (20-km) hike, taking in spectacular volcanic scenery.The paths are relatively steep and require a good general fitness. Leave your central Reykjavik hotel by spacious 4x4 jeep â€“ custom built to drive smoothly across the demanding Icelanic terrain â€“ and then travel south toward Thorsmork Valley, a rugged area surrounded by glaciers and towering canyons. After winding your way through the foothills of Eyjafjallajokull Glacier, stop at Seljalandsfoss Waterfall to take photos and stretch your legs. Sandwiched between the falls of Selfoss and Skogafoss, Seljalandsfoss is one of Icelandâ€™s most famous waterfalls boasting a dramatic 200-foot (61-meter) drop. Continue to Basar, a hiking center in the heart of Thorsmork Valley, where your 6-8-hour hike starts. Listen to a short briefing about the hike, and then set off, following your guide at a steady pace along a 12-mile (20-km) trail around the incredible Fimmvorouhals Volcano. Having exploded into being in 2010, the active volcano is a spectacular sight. Zigzag your way up the trails, seeing vast craters and cooling lava falls as well as incredible views of the Icelandic highlands. Learn about the countryâ€™s high concentration of volcanoes â€“ both active and extinct â€“ as you walk, and hear tales of famous eruptions that have happened in the region. Your hike includes several stops along the way for you to get your breath back and admire the serene yet savage scenery of the volcanic landscapes. Roughly halfway through, stop for a longer lunch break, enjoying food that you brought along. Work your way back down the trails to Basar, and then relax in the comfort of your 4x4 jeep on the way back to Reykjavik. Your tour finishes with a drop-off at your central Reykjavik hotel.